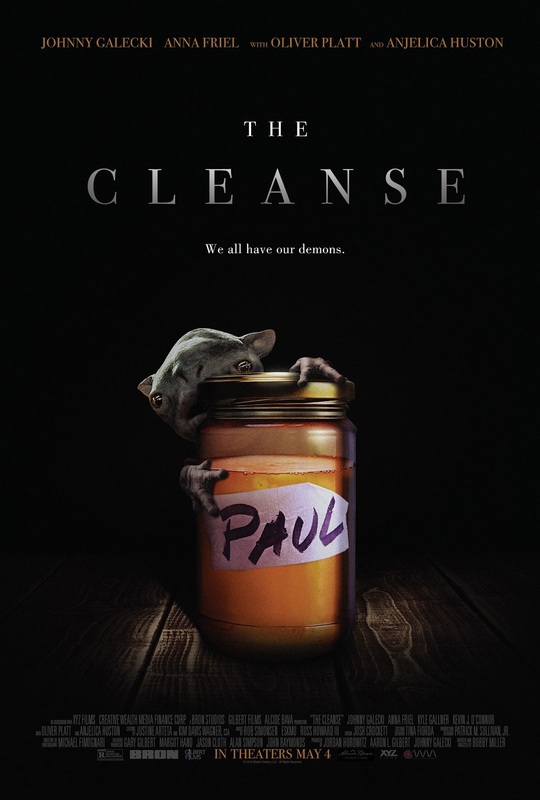 This is a trailer for The Cleanse. It was written and directed by Bobby Miller, and stars Johnny Galecki, Anna Friel, Kyle Gallner, Oliver Platt, and Anjelica Huston. it will be released in theaters and on digital May 4th. Check out the synopsis and trailer below. Johnny Galecki (Big Bang Theory) plays Paul Berger, an unemployed, down and out, heartbroken man searching for happiness. When Paul sees an ad for a spiritual retreat promising to restart your life, he immediately signs up, hoping to cleanse himself and fix his broken life. But after only a few days, he discovers the cleanse is releasing more than just everyday toxins… a lot more. Starring Oliver Platt and Academy Award® Winner, Anjelica Huston as the leaders of the retreat, The Cleanse is a darkly humorous, weird, and soulful fantasy that examines the inner demons in all of us.